The number of websites and online portals is pretty large that it is too hard to remember usernames and passwords for each website. Now days, most people are in trouble of remembering usernames and passwords for different websites. The passwords are much complex as websites suggests use of alpha-numeric and symbols in passwords and some websites don't even allow registration if your password is simple. Some people try to solve this problem by setting a simple and single password for all types of accounts and profiles. But this method is not secure anymore and it is strongly recommended that you don't do that for added security. Following are some tips and list of software and browser add on or extensions which can be very beneficial in organizing your usernames and passwords. You may all aware that every browser offers a username and password saving tool for users. By default it is enabled but if you cannot access this feature then you can follow these steps to enable Username/Password saving in your browser. In Google Chrome Browser. Go to Settings > Show Advanced Settings > Check the Box saying 'Offer to save passwords'. Now restart your browser and that is all. In Mozilla Firefox, Go to Tools > Options > Check Remember Passwords and Click on OK. In Apple Safari, Click on Settings Wrench Icon on the right top. Then Preferences > Auto Fill > Check Usernames and Passwords. If you are using any other Browser check user guide of your browser. Identity Safe: Identity safe is an Add on or browser extension from Norton. 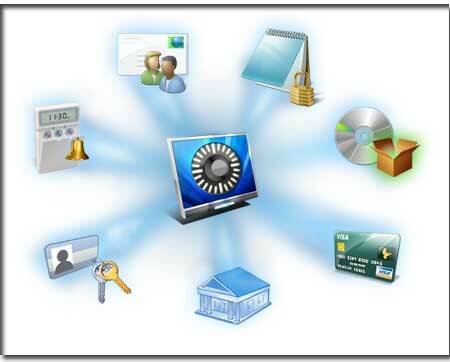 It is highly secure method of saving usernames and passwords. The other best thing about this extension is that it is available for all browsers and also for Mobile Phones such as Android and iOS. KeePass: Keypass is a free security password administrator, which helps you to handle your security passwords in a protected way. You can put all your security passwords in one data resource, which is closed with one expert key or a key computer file. So you only have to remember one single expert security password or choose the key computer file to open up the whole data resource. The data resource are secured using the best and most protected security methods currently known (AES and Twofish). Tips: Here are some tips in organizing usernames and passwords in a best way so you won't find it hard to remember log in details. Prioritize your usernames and passwords according to security. Such as passwords of Banks and other online financial accounts are more important than simple social network passwords. Create high-priority passwords with much complexity. And for low priority accounts such as Gmail, Facebook and Twitter you can use simple or same passwords. Install add on and plugins for browsers from trusted sources only.